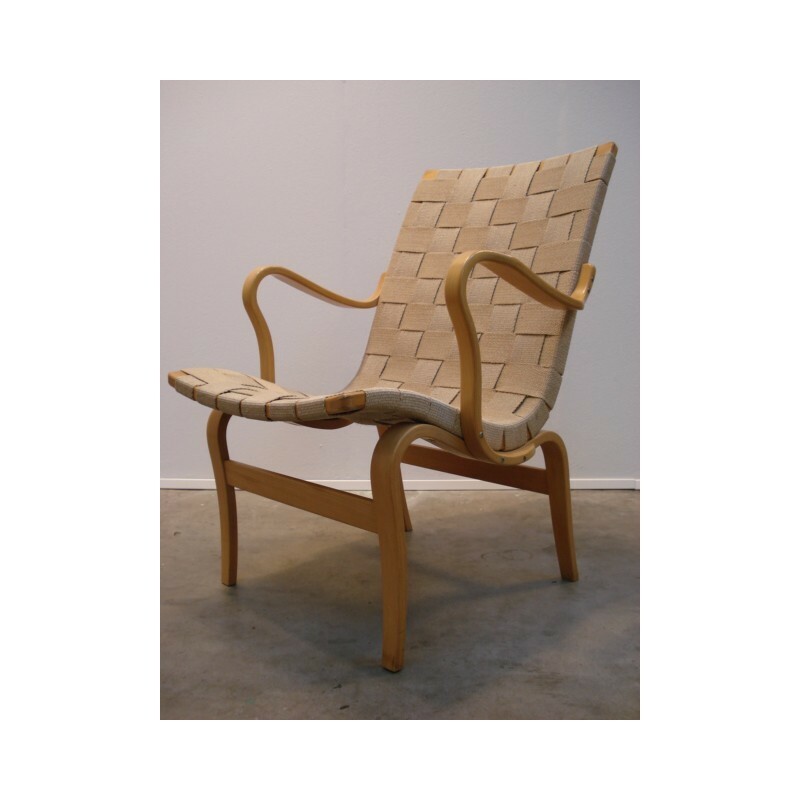 Design chair "Eva" designed in 1934 by Bruno Mathsson. The chair is produced by DUX. 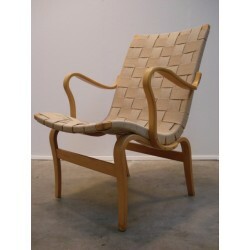 The frame is made of plywood and solid birch the material of the seat is hemp. The chair is in a very good original condition. The dimension of the chair is 38 cm SH, 82,5 cm H and 59,5 cm W.